Just a very quick review I thought to post. I have been loving this product for a couple of months now and was pleasantly surprised by its performance. 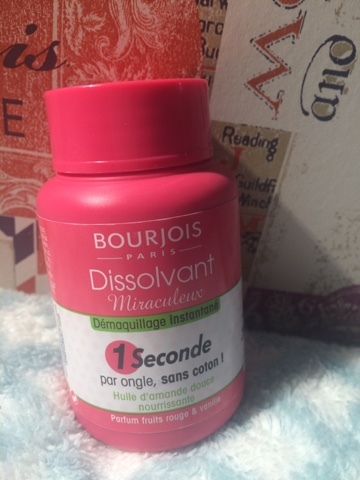 A one second nail varnish remover seemed highly unlikely and I was extremely skeptical. However, since purchasing this around Easter, I have found it absolutely amazing. 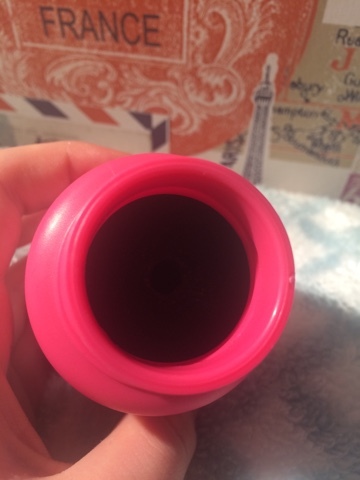 It does exactly as it says, it removes even glittery nail varnish quickly, it is portable, there is no need for cotton wool and it smells amazing (I think it is raspberry and vanilla). Particularly if you are going on holiday this summer, I would highly recommend it. To use, simply put your nail/finger in the spinge and twist it for probably 3 seconds (to be completely honest, with one coat of nail varnish, 1 second would do it) and voilà! Apparently, the stuff was used by models at London Fashion Week and with the speed and ease, I'm not surprised. Although it could just me diet related, my nails have also been looking healthier and shorter since using the stuff. Finally, a product that lives up to the hype!